May. 19, 2018 5:55 a.m.
Who is the best all-time athlete from Vancouver Island? Cassie Sharpe, Silken Laumann, Ryder Hesjedal, Steve Nash, Simon Whitfield — the contenders are many. There’s only one sporting way to decide: A SIXTY-FOUR ATHLETE ONLINE TOURNAMENT BRACKET! Visit the long list below (which is over well over 64). If you think anyone’s missing, have a look and email me at reporter@saanichnews.com, or Tweet me @travisapaterson. A case for Steve Nash: Is pending NBA Hall-of-Famer the best Vancouver Island athlete of all time? Soon, based on your dedicated input and my exhaustive research, I will whittle the list of names down to 64. From there, we will invite the public to vote via an online poll. Get your arguments in loud and early, because I’m running through this on Sunday night and I’m not staying up past midnight. When the time comes, we will be Tweeting/Instagramming/Facebooking this tournament like it’s on fire. And hey, we know it’s a debate sure to fire up Island sports enthusiasts and Canadians alike. First, a little clarification on transplants vs. Island-born. Transplants are allowed. To a degree. The threshold is that the athlete was established here before asserting themselves on the world scene. Laumann won’t crack the list, as the three-time Olympic medal winner and world champion Laumann of Ontario was a Western University athlete who moved to the Saanich Peninsula mid rowing-career. Whitfield, however, arrived here in 1997, years before he became a household name winning gold at the 2000 Sidney Olympics. For added reference: Despite inventing the rules that sculpted the modern-day NHL, Lester Patrick played and won the Stanley Cup for the Victoria Cougars but was already established before he moved here. 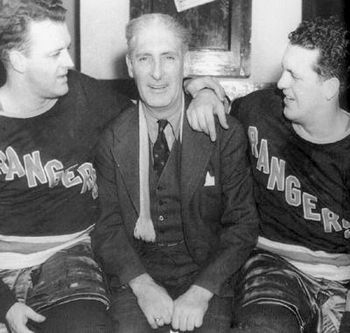 He will not make the list, but his Victoria-born sons Muzz and Lynn could (the trio won the 1940 Stanley Cup with the New York Rangers with Lester as coach, and Muzz was also the national heavyweight boxing champion). Was Muzz better than Jamie Benn? Hmmm. Is Jamie better than Rod the Bod Brind’Amour? Hmmm. Here are th names we’re considering, with kudos to the Greater Victoria Sports Hall of Fame, B.C. Sports Hall of Fame and Wikipedia for the bios.